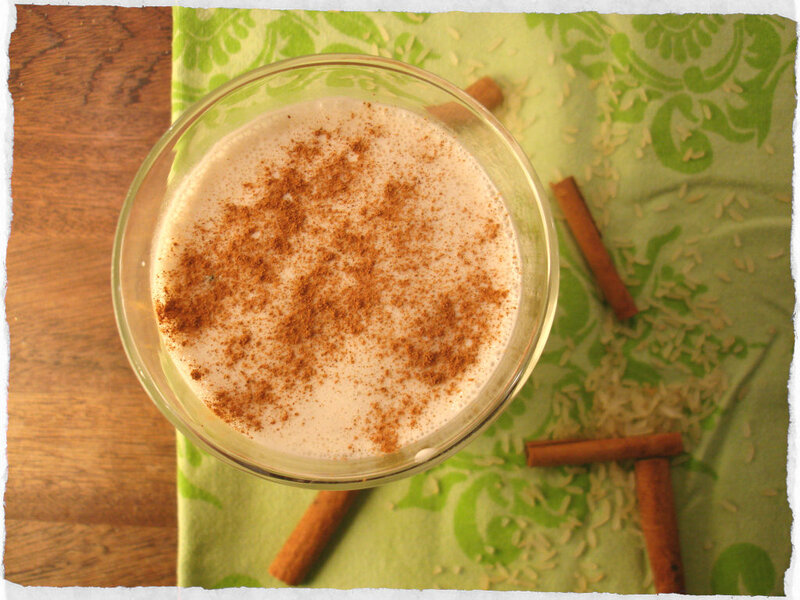 My second recipe for my Jamie Oliver domestic project is cinnamon orchata. 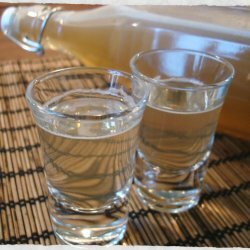 I had never tried or heard of the drink before I saw it in the book. But it sounded delicious and exactly like something I would like. And I was right. 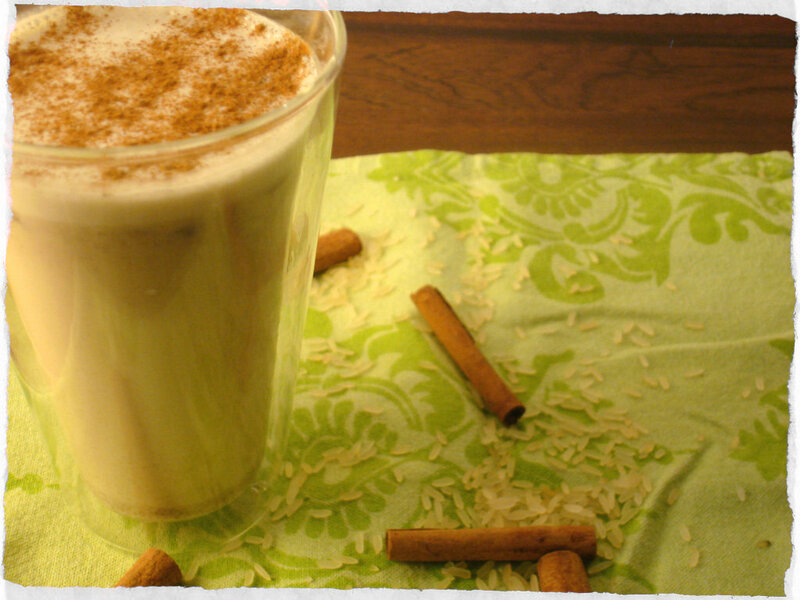 It’s a bit like Christmas in a cup, a lot like the rice porridge, risengrød, we eat around Christmas time in Denmark. Lovely and very easy to make. I did a little research and can tell you that it’s a actually the name of several kinds of traditional beverages served in Spain, Latin America and the US, made of ground almonds, sesame seeds, rice, barley or tigernuts. 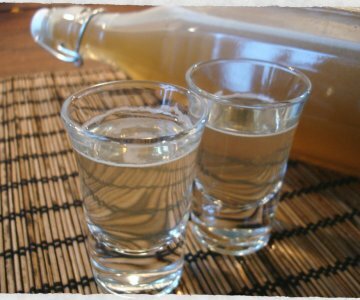 In some countries the drink is usually tan and “milky”, some recipes call for milk, and others do not. 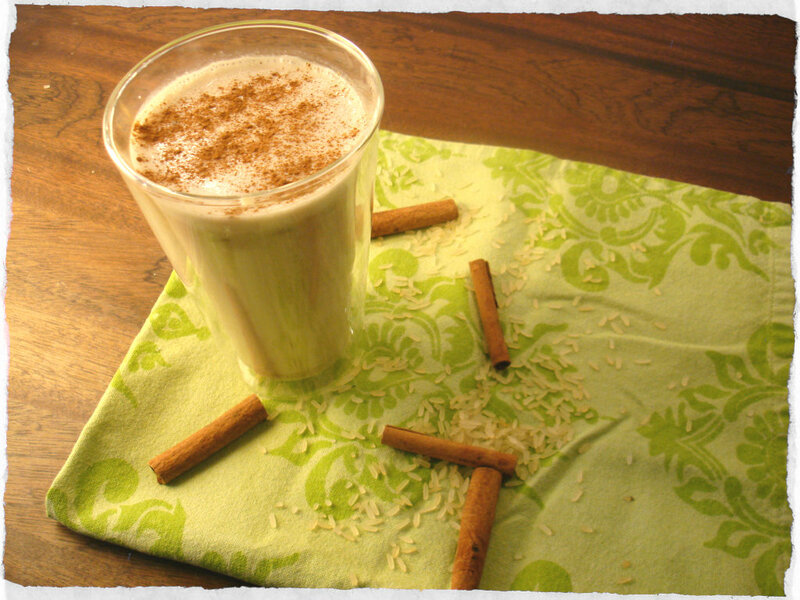 This recipe is an adaptation of the Orchata they serve in Mexico and Guatemala. And its very easy to make. This serving will make 2 cups. Strain rice mixture into a pitcher with lots of ice. Discard the rice from the sieve. 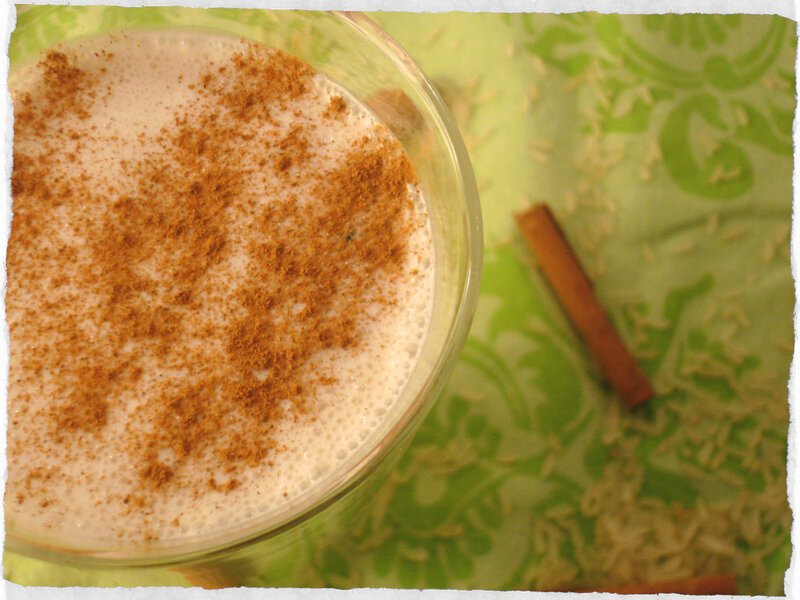 Snap cinnamon sticks in half and place into pitcher with the horchata. Pour into glasses. Sprinkle over a little more ground cinnamon and serve.